ClickAdd to Favorites and add an item to your guide. The village is home to one of the most intriguing cemeteries in the Malaga province and fascinating examples of religious architecture. Each May, Sayalonga also holds a celebration in honour of one of its most typical produce: the loquat fruit. The Santa Catalina Church was built on top of an old mosque in the 16th century. It has two naves divided by rounded arches. The main nave has a Mudejar framework, while the other one contains a shrine of the Virgen del Rosario (Our Lady of the Rosary), dating back from the 17th century. From outside, you can see its octagonal tower and, separated from the church, the San Antón chapel. Next to the church is the San Cayetano shrine, also built in the 16th century. Inside, you will be marvelled by the impressive 18th century sculpture. 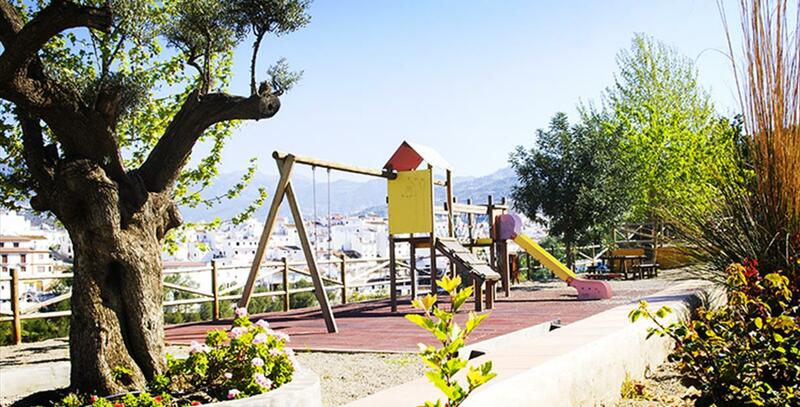 One of the most remarkable places in this village of La Axarquia is the circular-shaped cemetery. Its design is in fact octagonal, which, together with the domed structure of the niches, gives it a very unusual appearance. To help people get to know of its origins, the cemetery has its own Visitor Centre. Some theories not yet confirmed suggest that it is of Masonic origin. Another example of Sayalonga´s religious architecture is the Mudejar-style San Pedro church, situated in the adjoining village of Corumbela. The church has one single nave covered by a coffered ceiling. The minaret of the mosque on top of which it was built has been preserved and converted into a bell tower. Also worth a visit are the Moorish Museum of Sayalonga and the fountain of Cid, which it is believed that Rodrigo Díaz himself drank water from. Also, near the Plaza de la Constitución, is the Alcuza street, the narrowest street in La Axarquia. If you decide to travel by car, Sayalonga is only 45 minutes away, about 48 kilometres. From the Avenida de Guerrero Strachan take the E-15, and then come off at exit 277. Then take the A-7206 until you reach Sayalonga. Sayalonga has three routes which cover the most interesting spots in the town. The first trail leads to the Lomas de Méndez, where you have fabulous views of the coast. The second connects Sayalonga with the smaller village of Corumbela and runs through the surrounding areas of the Sayalonga river. The third leads up to the Arabic cistern of Batahiz and La Piedra de los Metales de Méndez (Stone of the Mendez Metals). The lookout point of the cemetery, situated in the outskirts of the town, is another ideal place to gaze down over Sayalonga´s surrounding landscapes. 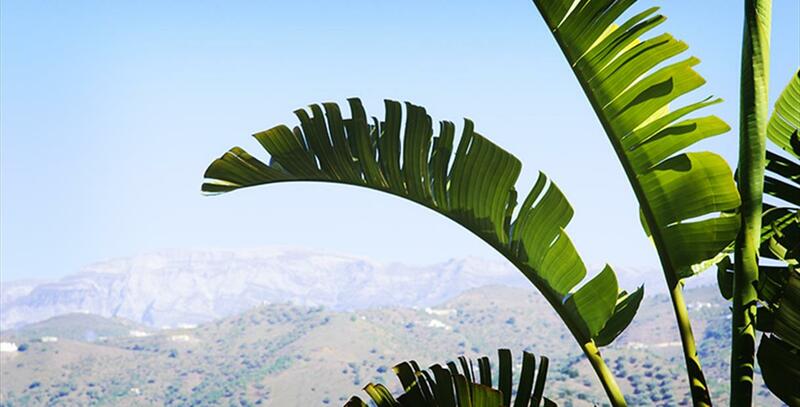 It offers exceptional panoramic views of the Almijara mountain range, the Bentomiz mountain and Corumbela. Loquat Day is the main event hosted by Sayalonga throughout the year. It is celebrated in May and has been declared to be of National Tourist Interest in Andalusia and Uniqueness in the Malaga Province. The festival provides the perfect excuse to taste the region"s typical produce like the wine. Although, the day"s protagonists are unarguably the loquat fruit and its by-products. During Easter Week, the penitential processions take to the streets of the village between Holy Thursday and Easter Sunday. On this last day, Our Lady of the Rosary, patron saint of Sayalonga is taken out on procession. 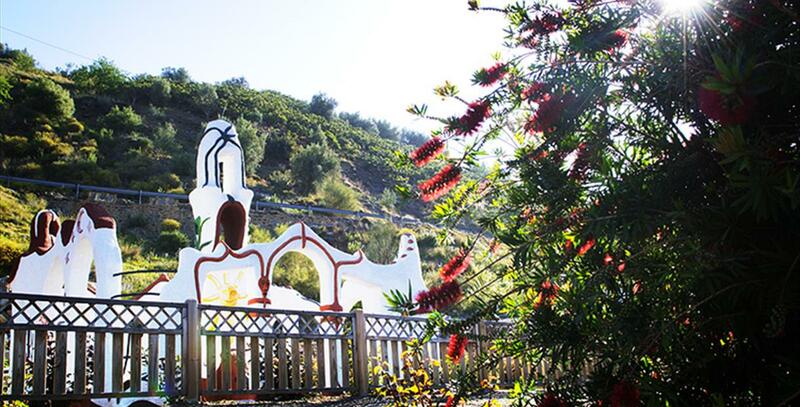 Other long-standing traditions in the village in La Axarquia region are the San Pedro pilgrimage in Corumbela (June), the Sayalonga village festival (July), Candelarias Day (September) and Our Lady of the Rosary pilgrimage (October). Deserving to be mentioned apart is the Sayalonga Village Festival, celebrated in July. The most outstanding dishes of traditional Sayalonga cuisine are the fennel stew, migas (lightly fried bread accompanied with cold meats, peppers and other ingredients) and the cachorreña soups (an original soup made with bread, orange and cod). However, the traditional fare also includes choto al ajillo (kid goat in garlic) and el revoltorio, a salad prepared from fresh vegetable and roasted cod. And on the table, you can"t forget the loquat, artisan bread baked in a wood-fired oven and sweet wine. 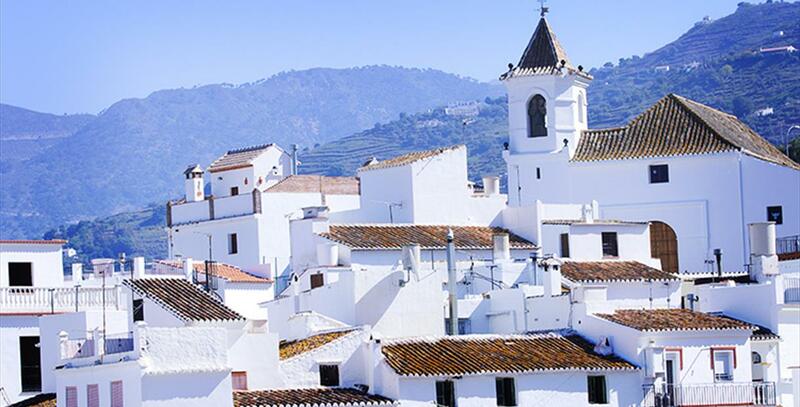 Sayalonga emerged as a village when Andalusia was ruled by the Arabs. Before there had been prehistoric and Roman settlements. The Romans were the first to develop farming habits in the area. The mild weather and the proximity of the river were key factors to agricultural development. The current layout was designed by the Arabs, who mapped out the streets and carried out important infrastructure projects like Ventorrillo del Aljibe, a water well holding more than 90,000L. It stands next to Batahiz, the village where the poet Muhammad al-Hasni was born. The Muslim legacy is embodied in the minaret of the old mosque in Corumbela, now the Church of San Pedro. The well-preserved minaret dates back to the twelfth century. Corumbela is the birthplace of King Bisma I, who had Málaga"s Arab Fortress built. In 1487, the Catholic Monarchs seized Vélez-Málaga. To avoid bloodshed, the Muslim envoys of Sayalonga travelled to the main city in Axarquía and bowed down to the victors. In the mid-sixteenth century, the Moors were forced into exile as a result of their involvement in the riots against the Christian rulers. On 25 December 1884, most of Andalusia was shaken by an earthquake. Sayalonga was no exception. Fortunately, there were no casualties in the village. The adjoining district of Corumbela has a Roman toponym, "columba" meaning "dove" in Latin. After the Christian conquest of the Nasrid kingdom of Granada, the Catholic Monarchs gave it to Diego Fernández de Córdoba, as a reward for his service during the war. Later on, Corumbela belonged to the Noble House of Medinaceli, who kept their lordship until 1811. The district had its own council until 1868, when a land redistribution programme reshaped some of the municipalities and Corumbela became attached to Sayalonga, by whose authorities it is governed nowadays. Submit your email address and receive exclusive information and great offers about the Costa del Sol.